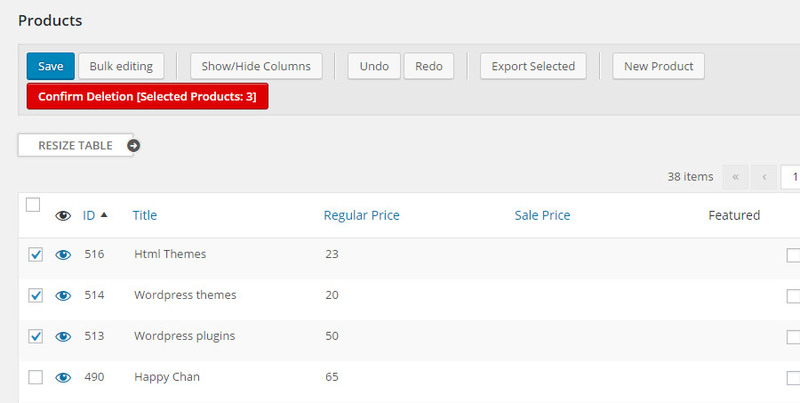 All the plugins listed in the integrations section are not included in YITH WooCommerce Bulk Product Editing. 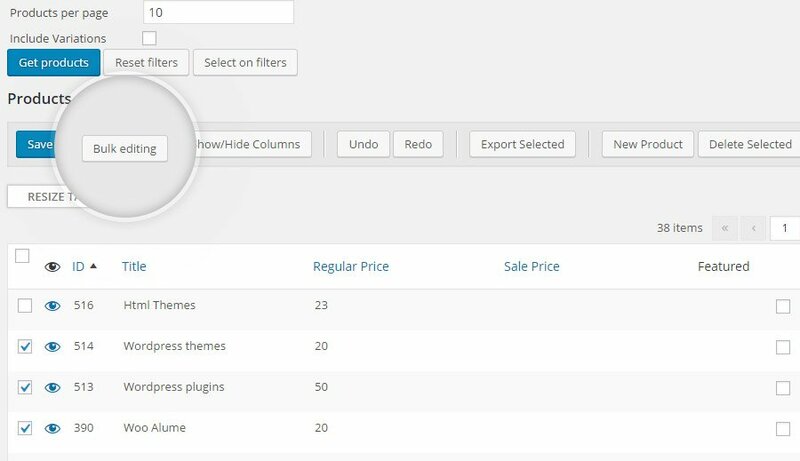 In order to take advantage of a specific integration, you need to purchase and activate the premium version of the related plugin. 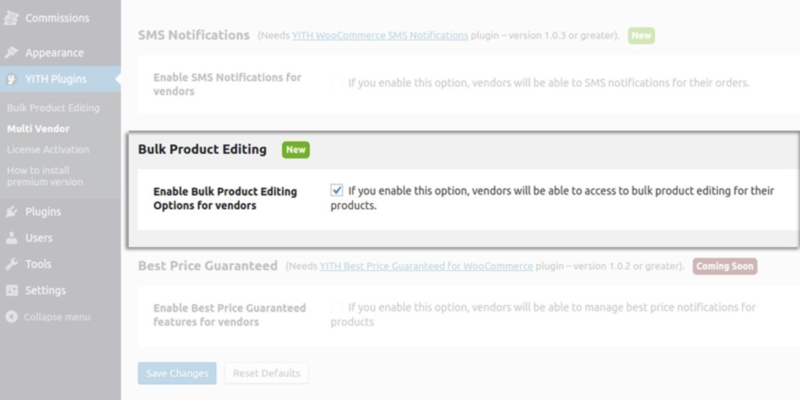 To enable the integration between the two plugins, it is essential to activate the add-on in Multi Vendor -> Add-Ons. 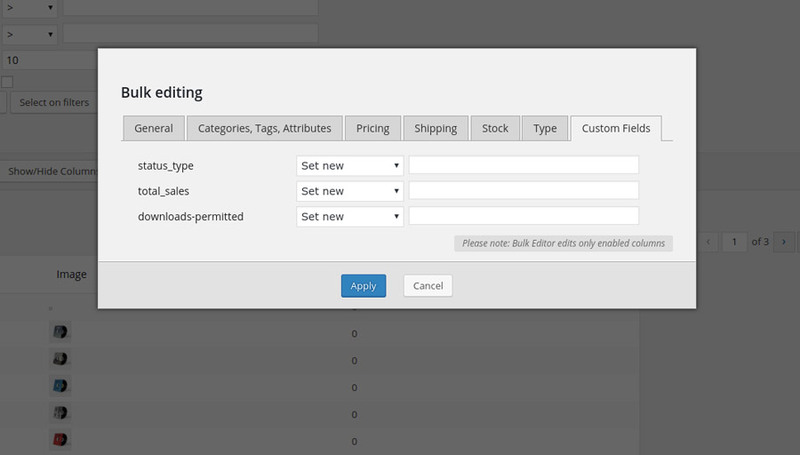 The integration allows the vendors of the shop to edit their own products in a massive way by using the features of YITH WooCommerce Bulk Product Editing. 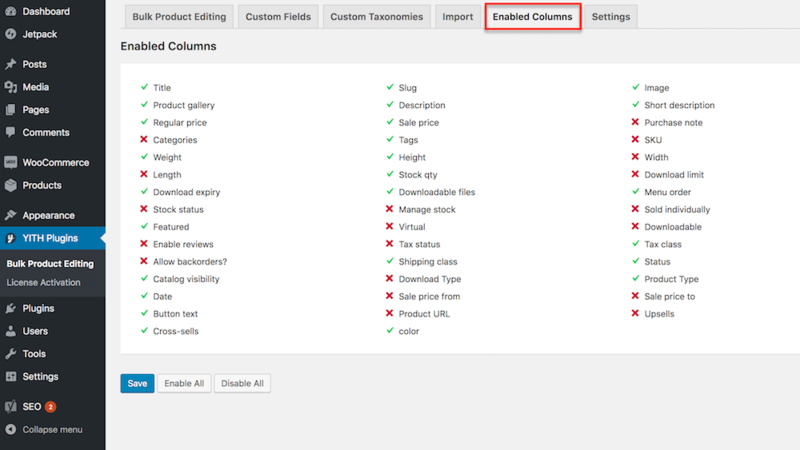 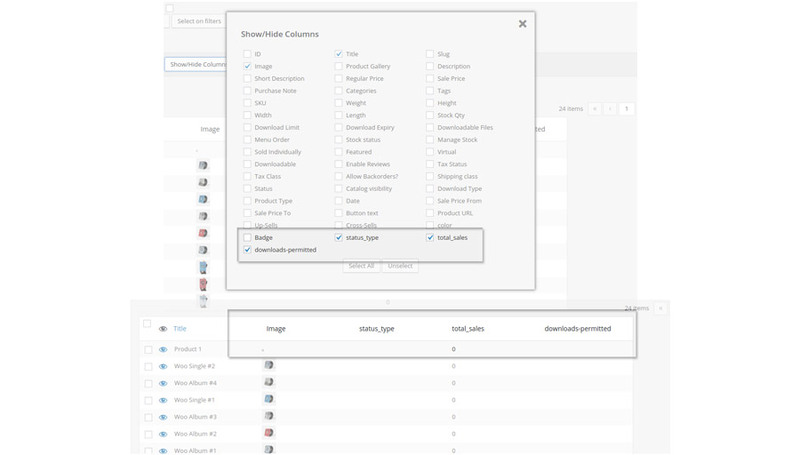 To optimize the plugin behaviour and to quicken the upload of information related to products in the tab, go to the “Enabled Columns” section of the plugin settings dashboard, and only enable the typology of information you want to modify. 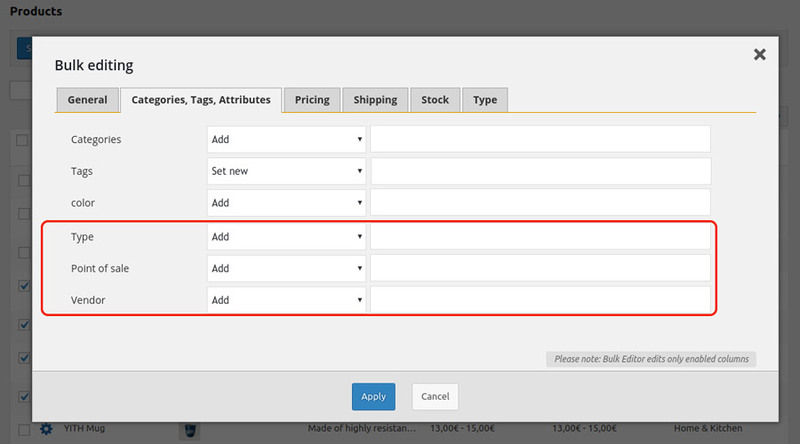 This way you can avoid to process information that won’t be used in the chart. 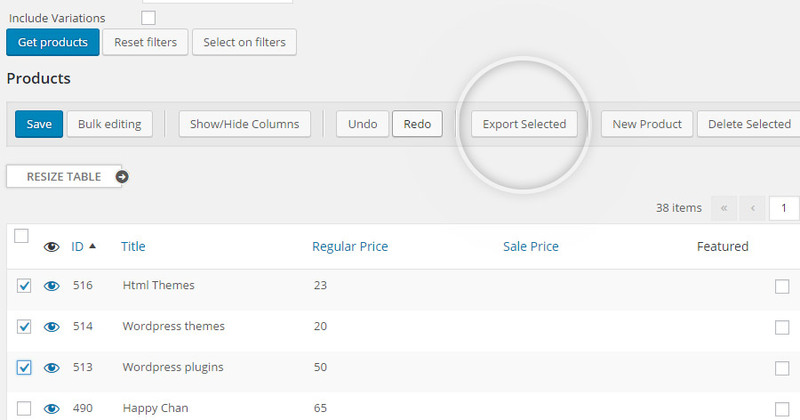 In order to apply the same change on more products of your shop, select the products in the table and click on the “Bulk Editing”button. 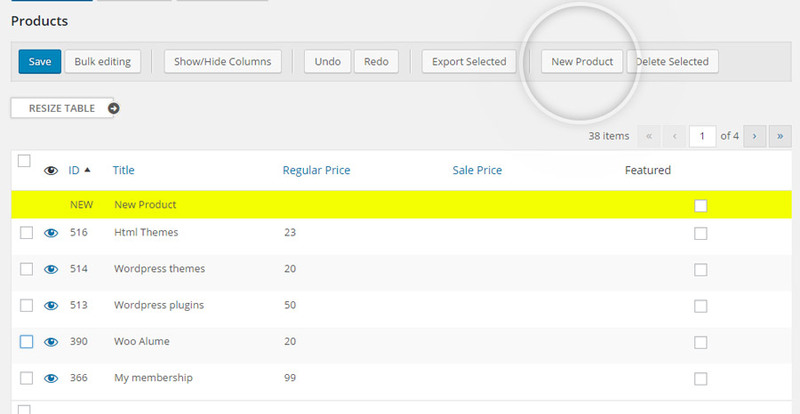 Select the products you want to delete and click on the “Delete Selected” button. The product will be removed from your shop only after the confirmation of this action. 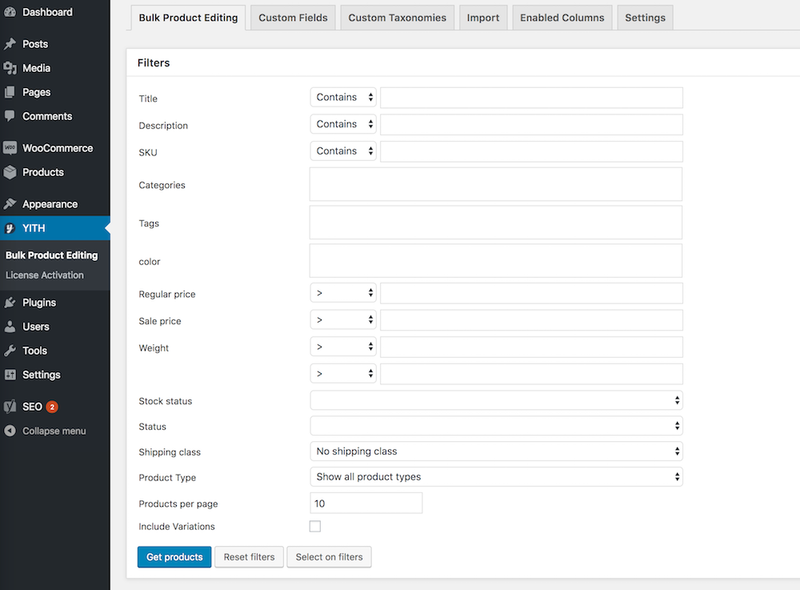 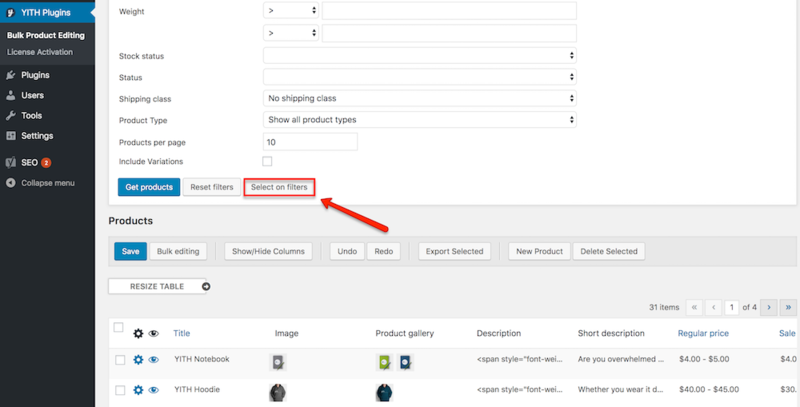 So, you can import all the previously exported products that are on a file of the same type (generated from the YITH WooCommerce Bulk product Editing plugin), using the option that you can find into “Import” section. 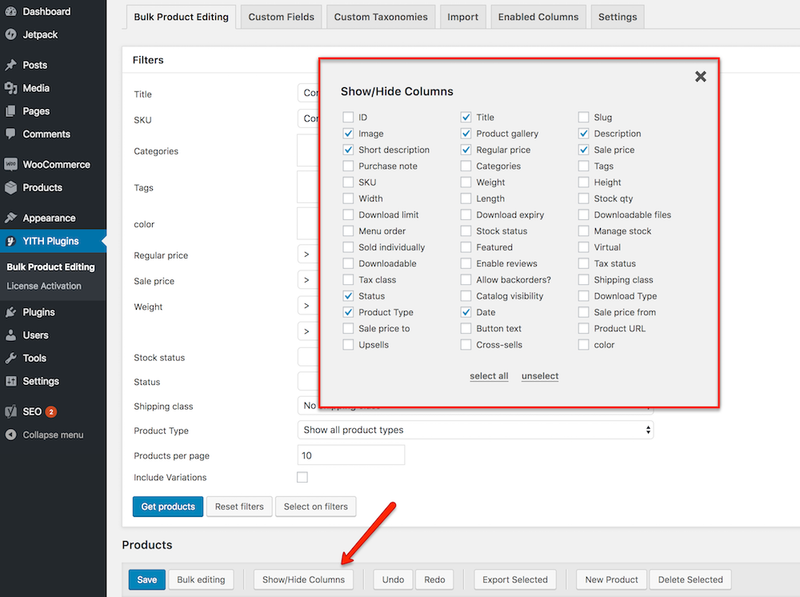 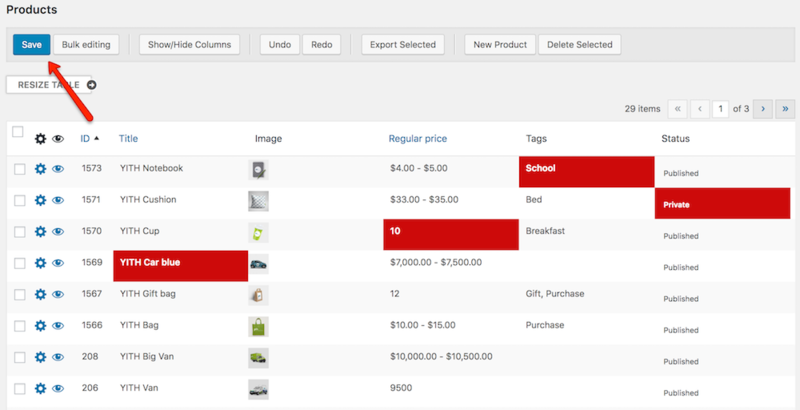 In this page, we analyze how to manage your theme custom taxonomies for your shop products in a massive way. 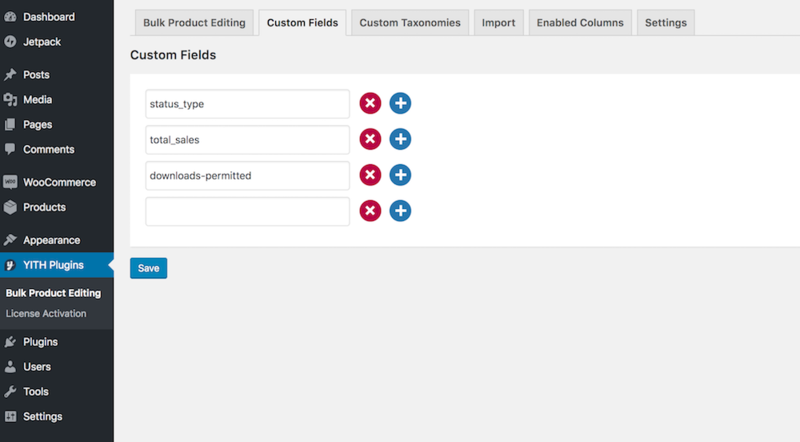 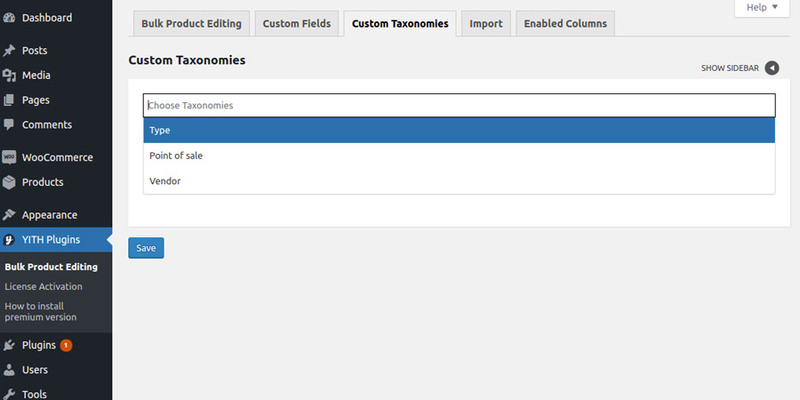 Firstly, go to Bulk Product Editing -> Custom Taxonomies and select the taxonomies you want to assign. 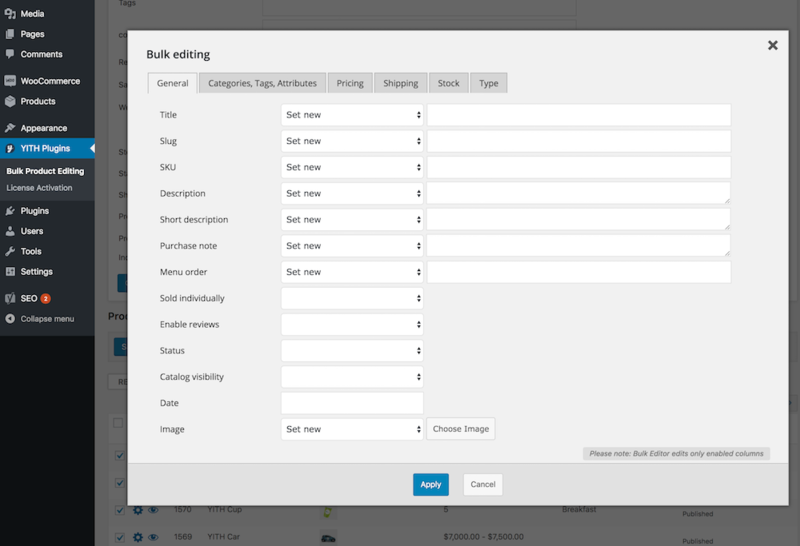 After saving, you can add or remove the taxonomies for those products you want to edit from the main section of “Bulk product editing”.